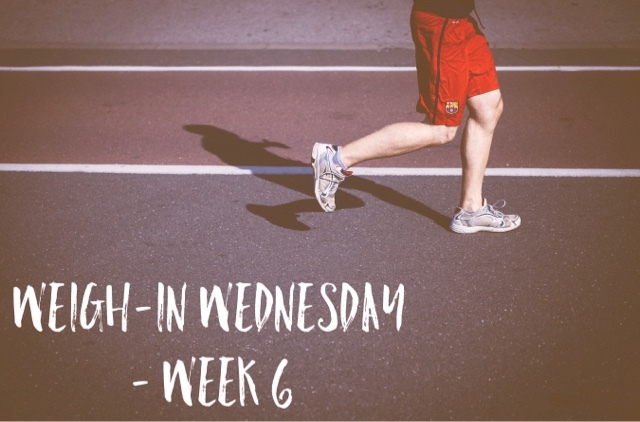 It's hard to believe that another week has passed, and I'm due to publish another update on my attempts to lose some weight. 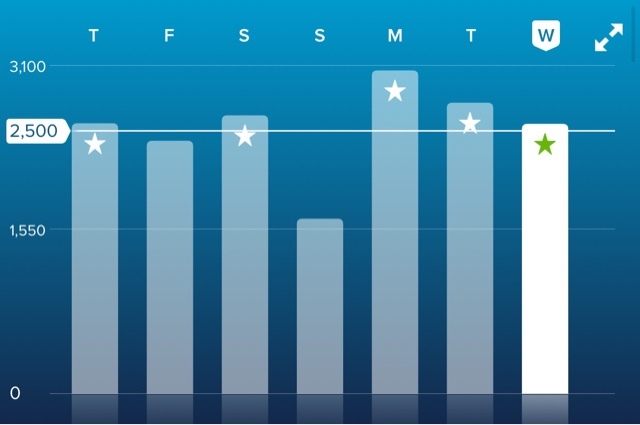 Overall, I don't think this week has been too bad, but some discomfort in my foot/ankle meant I was up for walking over the past couple of days and I know I've eaten quite a lot of convenience food. So sadly I've put on 2.5 lbs this week, still under my starting weight, but disappointing nonetheless. Ive stuck to my March resolution of not going out for my lunch at work, but I did go to Greggs today and loaded up sugary snacks that I probably didn't need. It's definitely a mind over matter issue for me as I've generally been good so far this month. I think I'm going to have to make a more concerted effort to record what I'm eating as I'm not sure everything has been captured accurately. 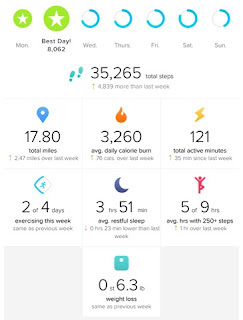 Disappointingly, the number of steps I've done over the last week has dropped by 2000, which I'd like to attribute to my injured ankle, but some of the days where I didn't hit my target I didn't have that as an excuse. Must try harder! Target met, and I'm beginning to do this quite regularly, so I might add another day to the target in the next couple of weeks. 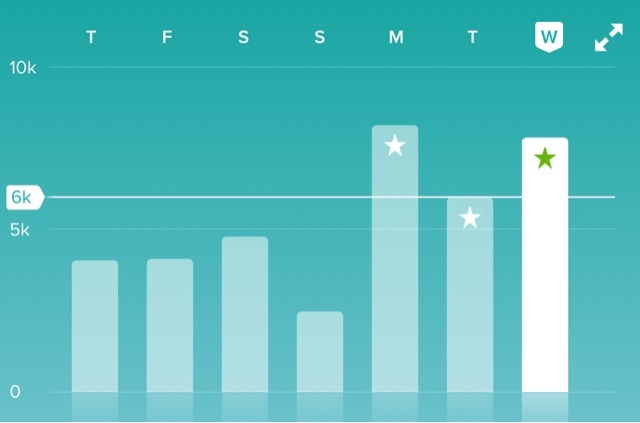 As per usual, Sunday is the day that I find myself drinking least, so I think that's an area that I can improve. 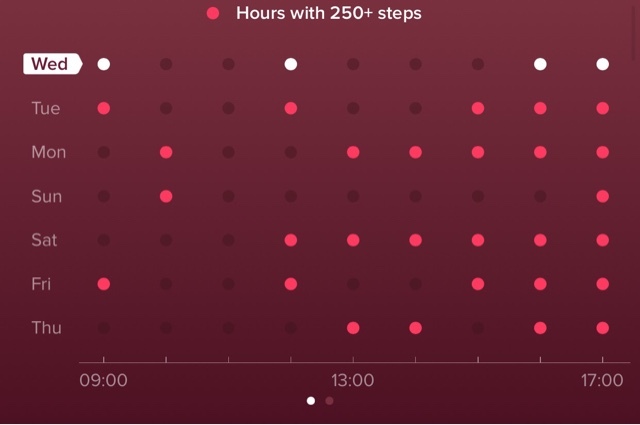 The first time I've met my target for active hours, hopefully I can keep this up over the coming weeks and it's another area that I can perhaps push myself to do a few more hours per week. 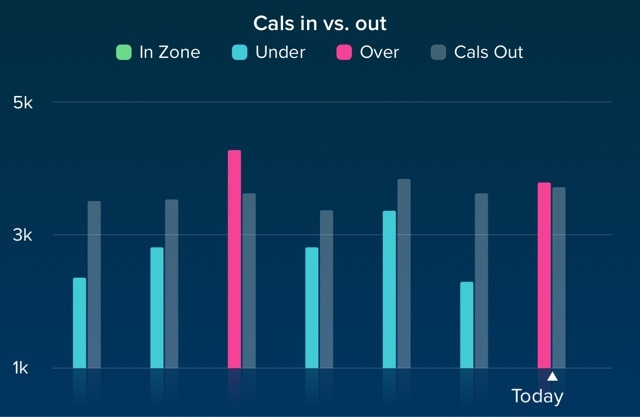 I also wanted to publish the weekly report I got emailed to me from Fitbit. 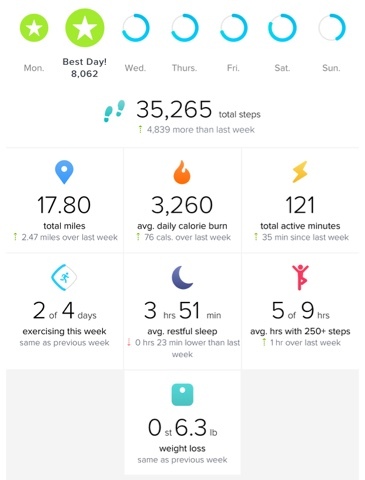 This really covers everything off that I wanted to look at and track, so I may use this going forwards to give another insight in to my attempts to lose weight.